sturdy aluminium mount - light, rustproof, long-lasting! the inner part of the mount is covered with foam rubber - which holds the filter securely in place by friction alone. The screws on the mount are for added extra security only. A glass filter of this quality makes solar observing and astrophotography a joy. 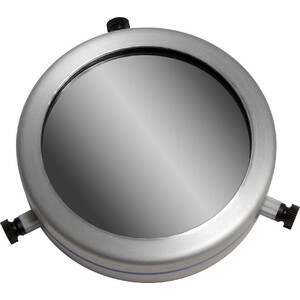 The filter can be safely and rapidly mounted.